To fill our Chromebook trolleys so that we don't have to disturb other year groups to borrow theirs. Exminster Community Primary School is based in Exminster, a village just outside Exeter in Devon. As a school we have created our own Rainbow Values: The EPICentre of Learning. Enjoyment - We want every child to enjoy coming to school, to feel secure in their friendships and to be happy to learn. Inclusion - We pride ourselves in being a highly inclusive school. Inclusion is about adapting for the needs of our learners, however minor or major their needs may be. This has benefits for all learners, learning to celebrate our differences and individuality. 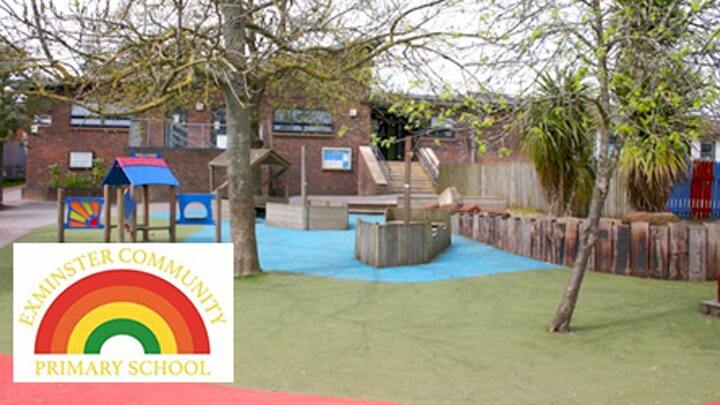 Community - Exminster Community Primary School plays an integral part in the life of our village. We maintain a strong family village school ethos. We feel it is essential that children develop an understanding of our school family, our local family, our national family and our international family. Diversity and respect are a golden thread within all that we do. Motivation – being involved and concentrating, keeping on trying, enjoying achieving what they set out to do. Engagement – finding out and exploring, playing with what they know and be willing to have a go. The children talk about these aspects regularly in their learning, thinking about their aspirations and their learning journey. We would like to buy 10 Chromebooks to be used across the school. Chromebooks are lightweight, powerful computers that enhance our learning choices. They are able to be powered up in around eight seconds, meaning learning time is never wasted. As these will go alongside the Chromebooks we currently have, this will benefit 385 children. There are a number of reasons why Chromebooks benefit our school. It saves us time: with Chromebooks, you are practically good to go as soon as you get hold of a Chromebook in your hands. There is no need to install any software and no setup is required. They save us money over time: With Chromebooks, there is no need to buy any antivirus software. Google takes care of providing security and malware protection for your Chromebook. Also, Chromebook users can make use of Google Docs and Google Sheets, available for free on Google Drive. Moreover, there is no need to worry about checking for updates and installing them. Chromebooks are well set up to automatically check for updates every time you turn on the computer. The children never lose work: Unlike traditional laptops, Chromebooks do not store your work and settings locally. All of the children's preferences, apps and documents are saved on Google Drive. This means there is never any danger of the children's work being lost, mixed up or deleted. Security: All of the Chromebooks are managed by the school, keeping the children safe. With social media and new technology always on the market, it is important that children are educated to explore safely online. Total = £1,639.90 (incl VAT & delivery). The school is happy to contribute £139.90 so we're looking to raise a total of £1,500. If we're fortunate enough to raise more than our target, then we would also like to buy some VR headsets to take us across the world! Please do donate but if you can't they feel free to share this on social media. Share the link at the top of the page on Twitter, Facebook, email, your website, blog, mention us in a phone call or even just a chat over the fence! Please support us and help make a difference to our students. A thank you note from the school. A thank you note from the children. A special mention in our newsletter, on our website and Facebook pages.